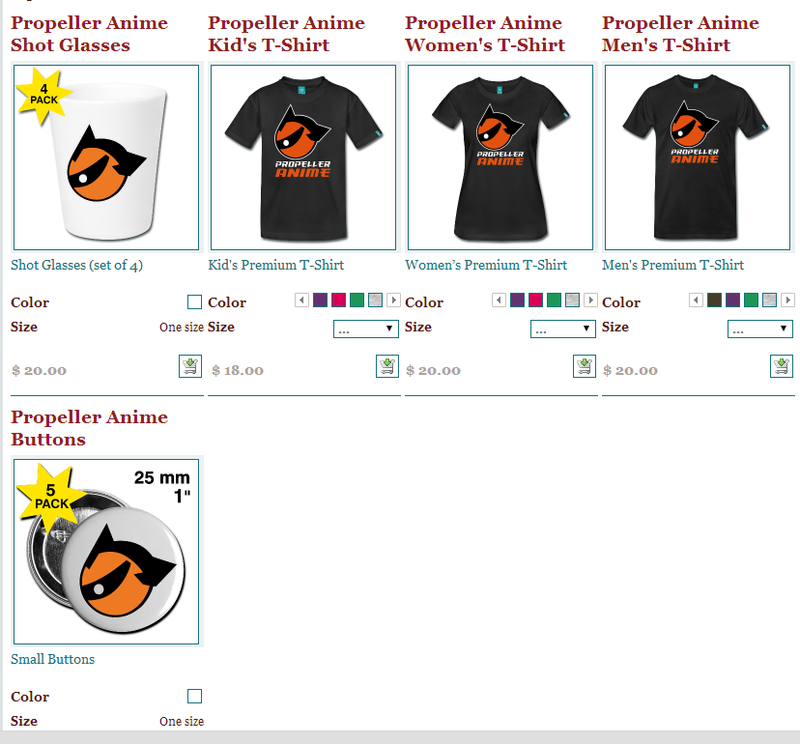 Propeller Anime: Shop Propeller Anime is up! T-Shirts, Shot Glasses, and Buttons! More To Come? Buying from our new online shop also helps us out! We get a cut of the sales and can use that money to make our events and parties better. 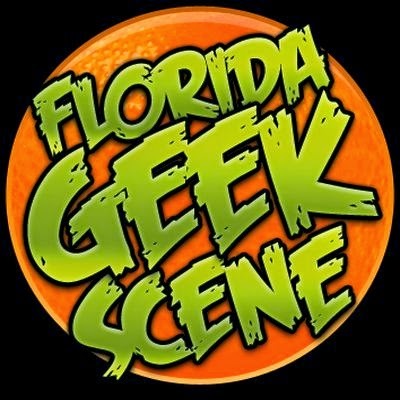 That means stuff like Anime Nite Orlando, Iron Cardboard Robot Cosplay, The Ninja Olympics, and even our upcoming Anniversary/Halloween party would benefit from your patronage! T-Shirts are available in a variety of colors but we recommend that you stay away from lighter colors like white, gray, and yellow. 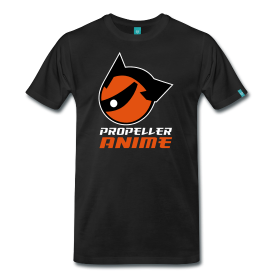 We do plan on adding more items to the store in the future and would love to hear suggestions! Let us know what you think!